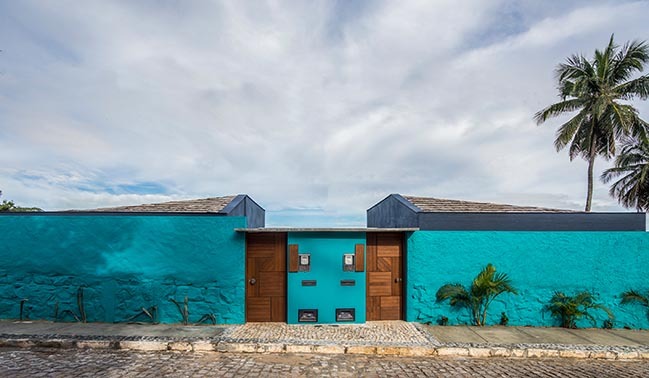 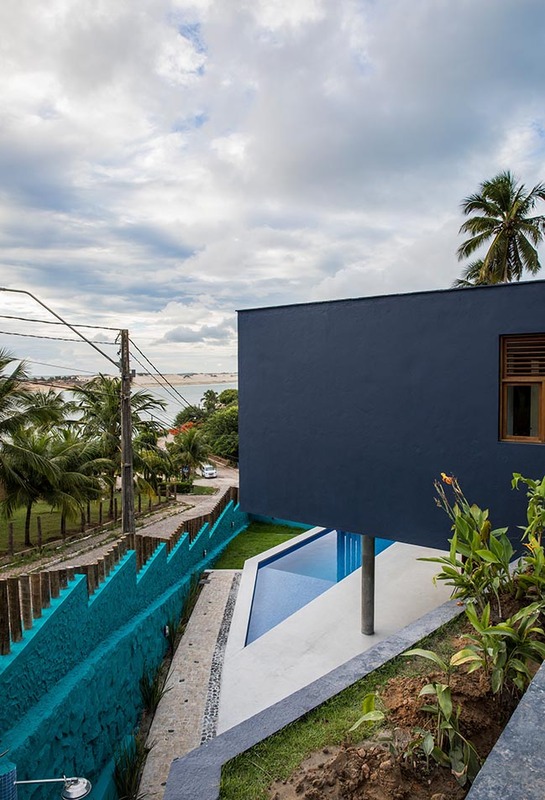 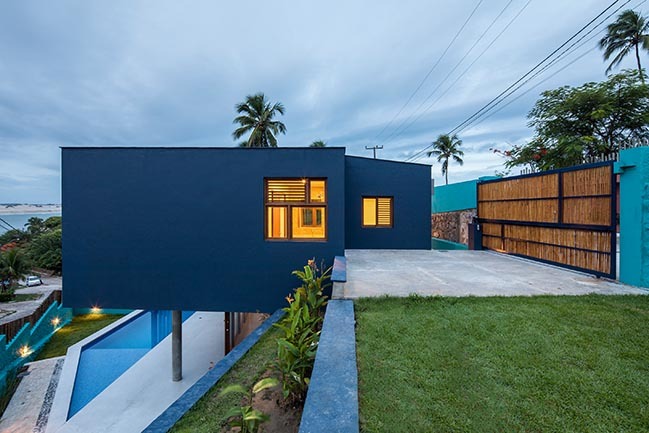 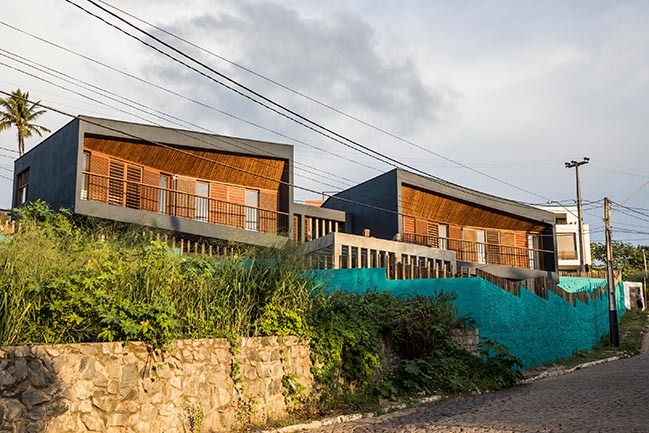 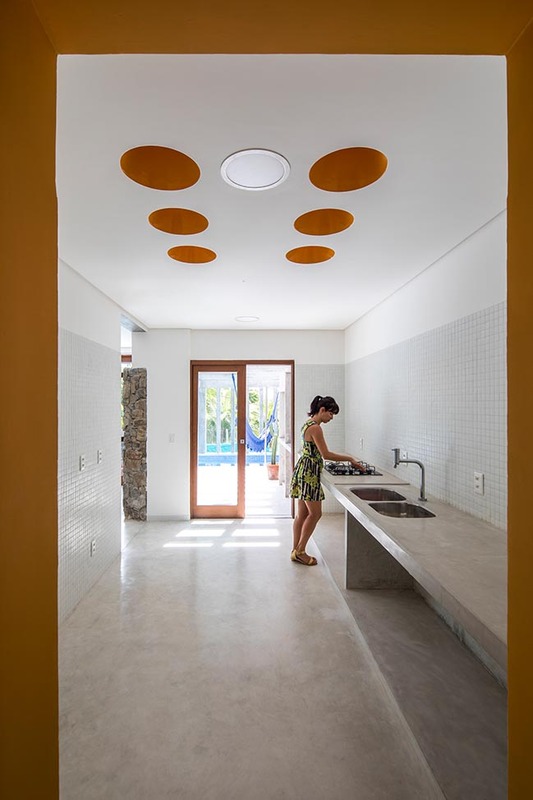 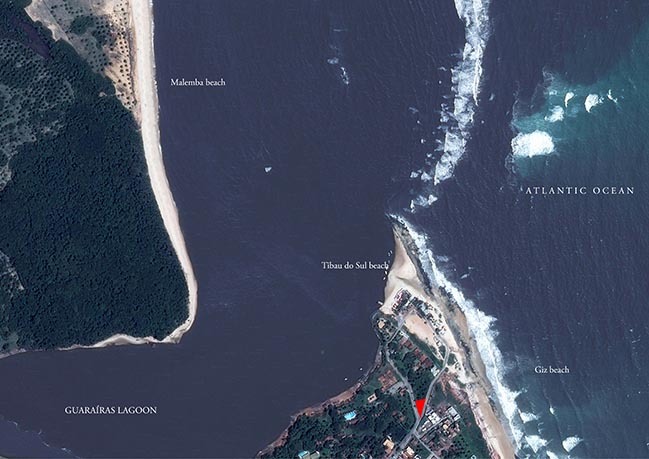 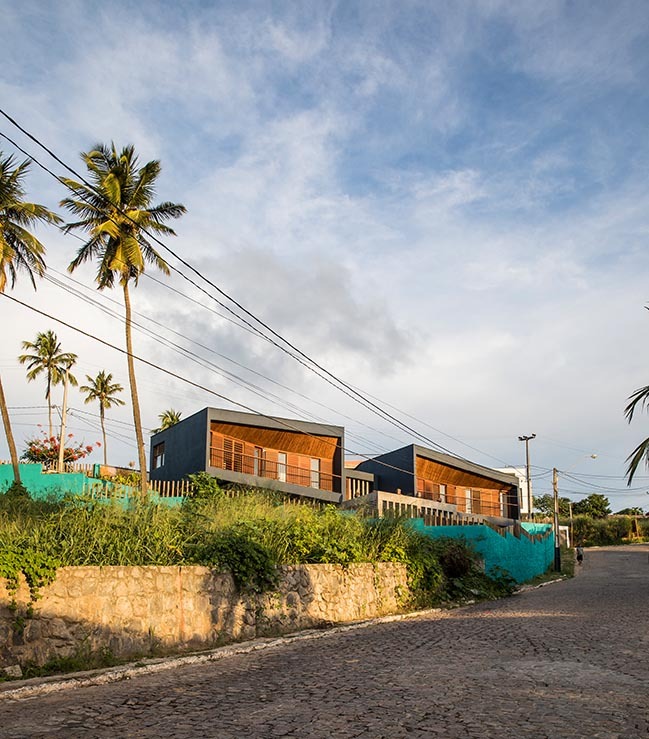 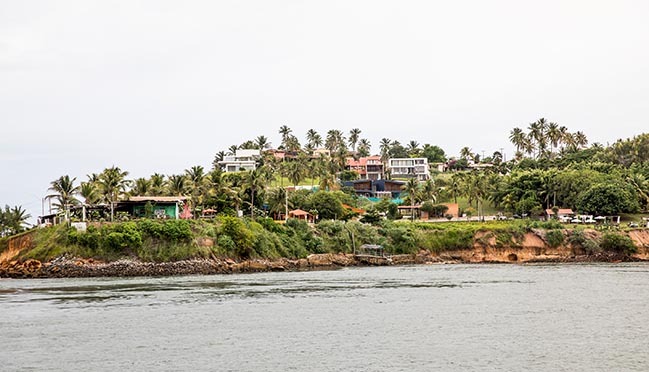 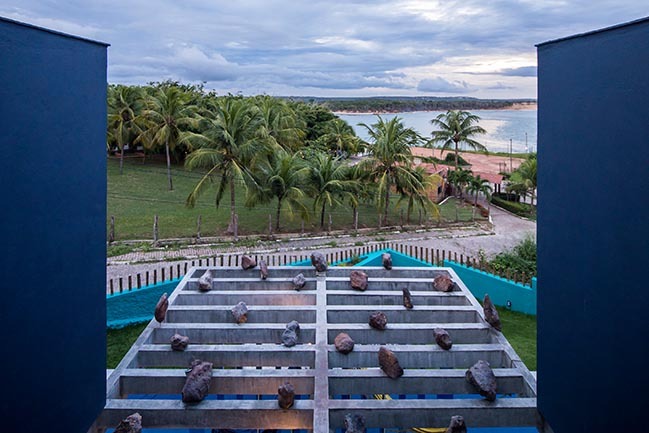 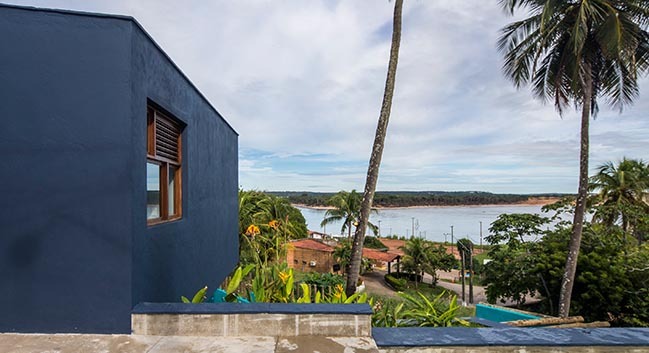 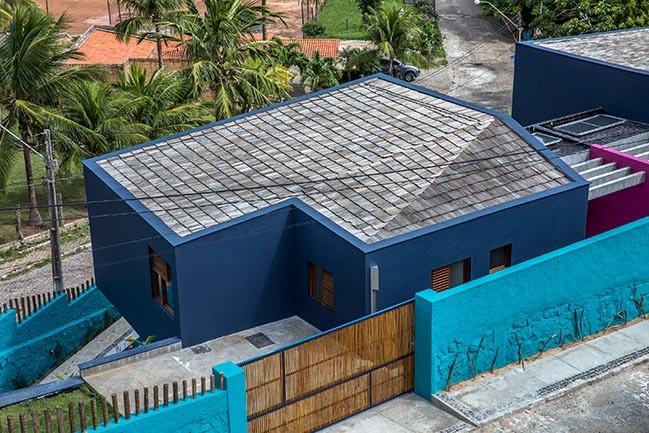 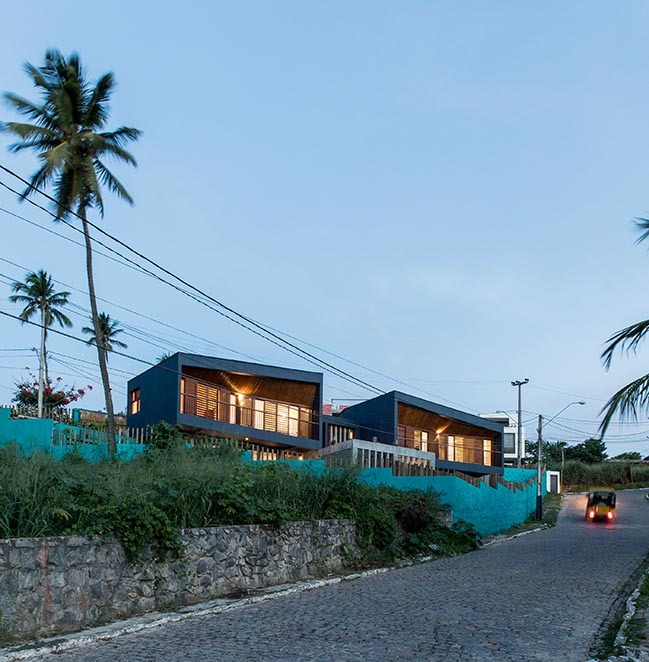 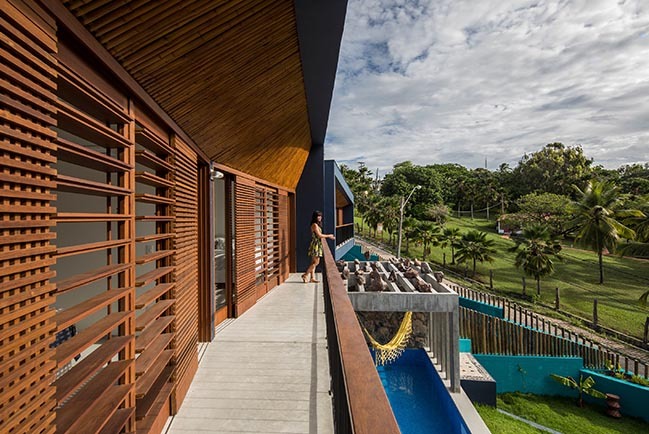 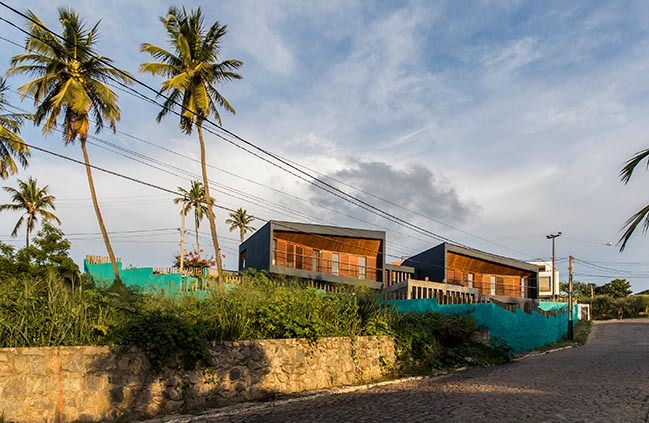 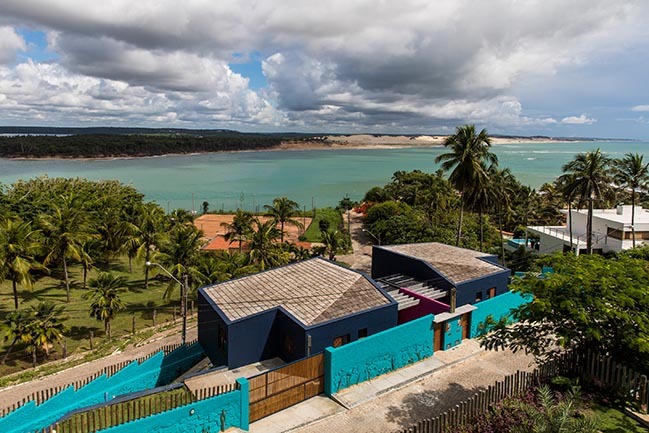 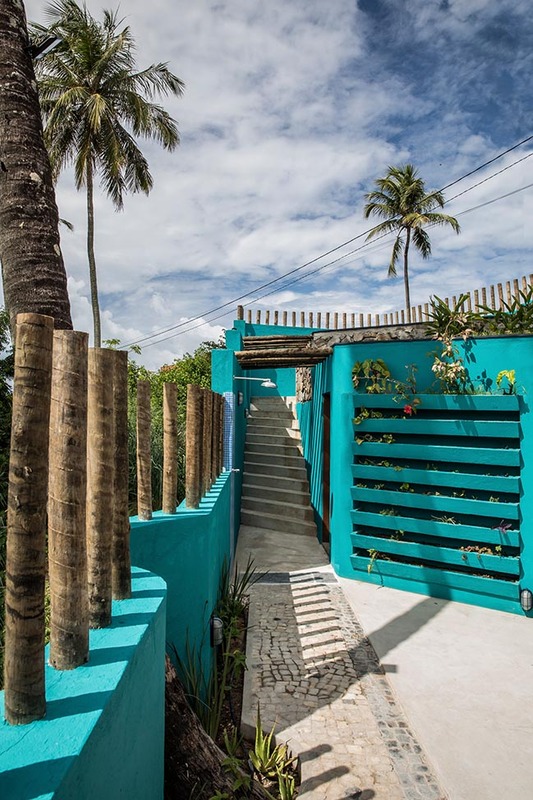 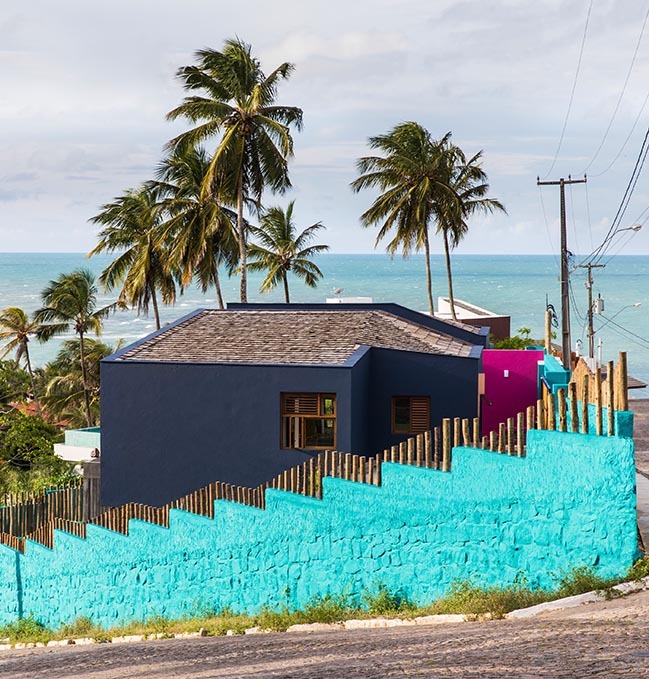 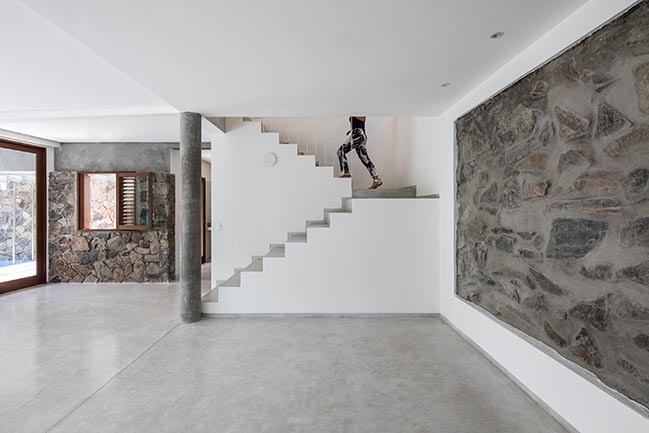 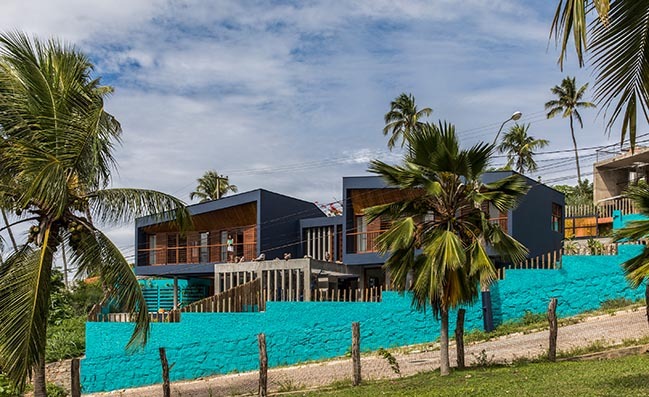 The project of two houses, located in the municipality of Tibau do Sul, is inserted in an irregular terrain of 642m2 on a slope that dominates the amazing views to the Guaraíras Lagoon and the spectacular dunes of Malemba beach - a fragment of northeastern desert where only the kitesurfers and the fishermen enjoy their enormous extensions of virgin sand. 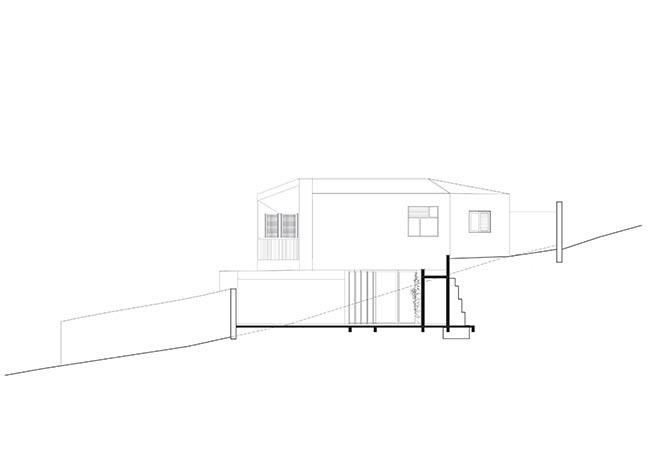 Gross built area: 430 sq.m. 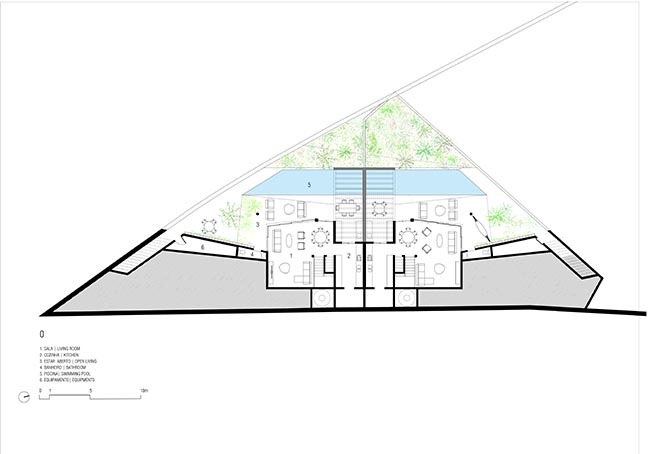 Lead Architects: Mariana Vilela, Daniel F. Flórez. 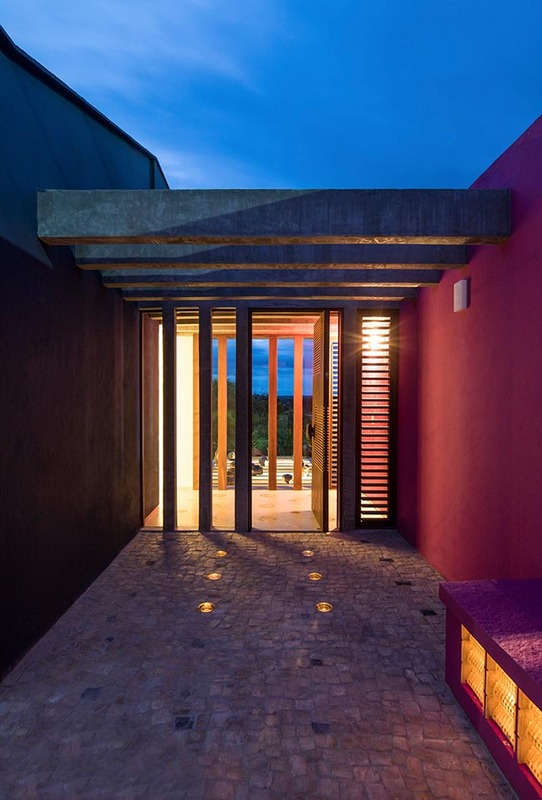 From the architect: In this privileged location are inserted two sculpted and independent volumes, integrated by a large pergola and oriented to the spectacular views towards the sunset. 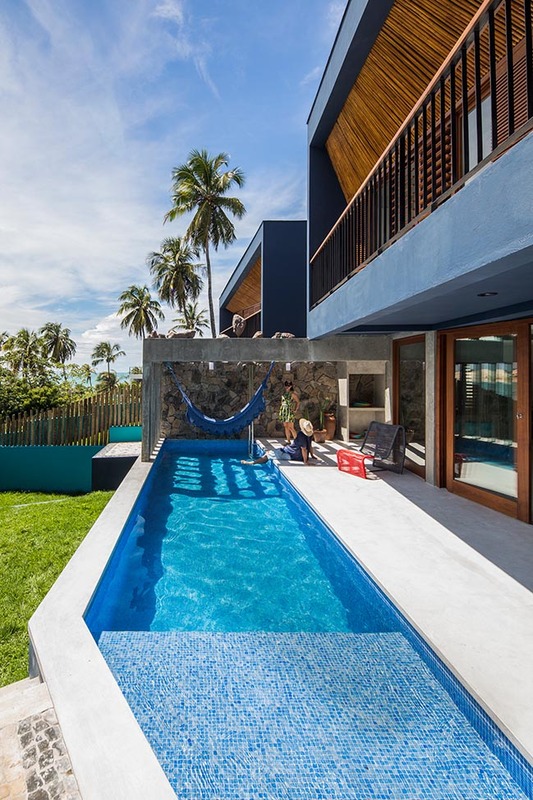 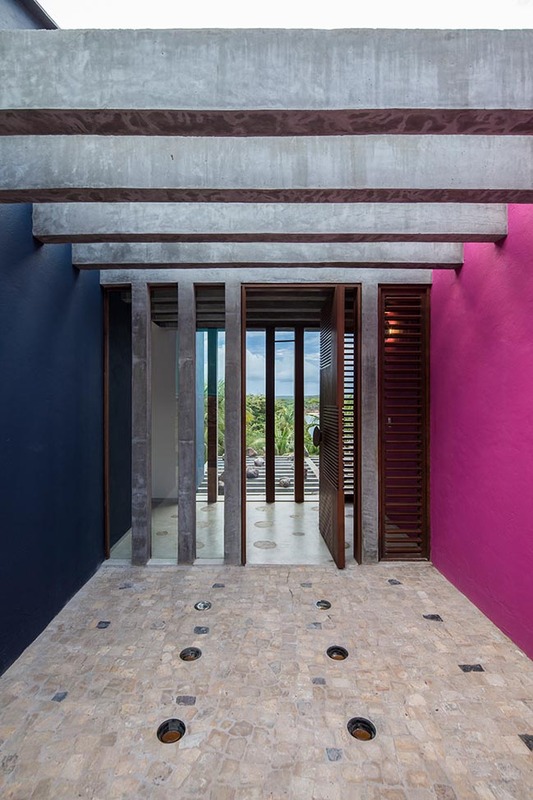 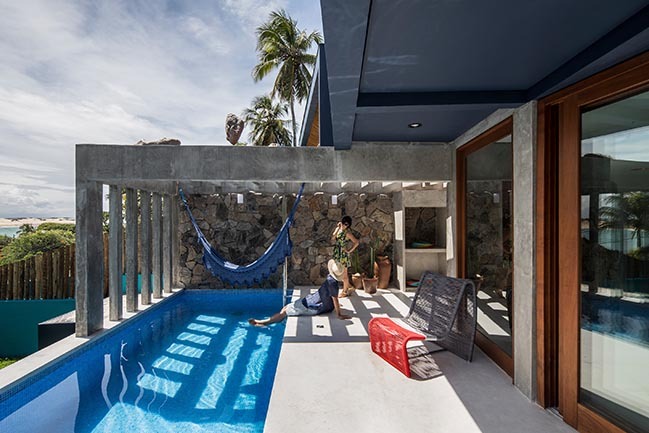 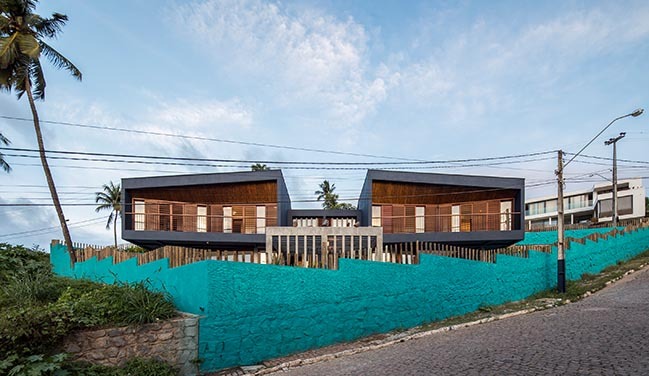 Divided in two floors, the program is staggered by taking advantage of the powerful descent of the land towards the sea, with the upper levels of the bedrooms providing shade to the lower floor where common living areas and terraces are located. 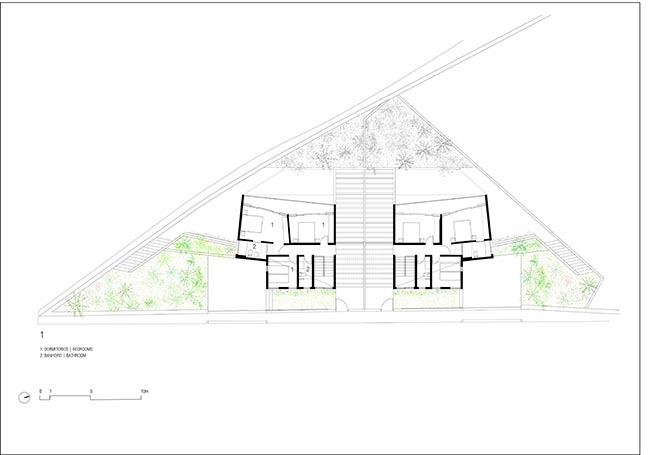 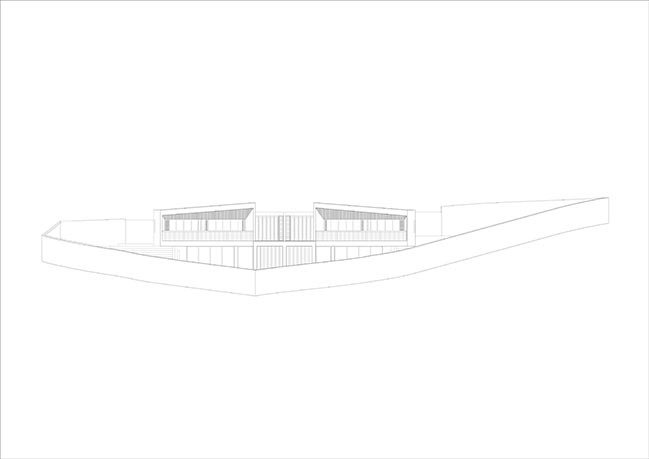 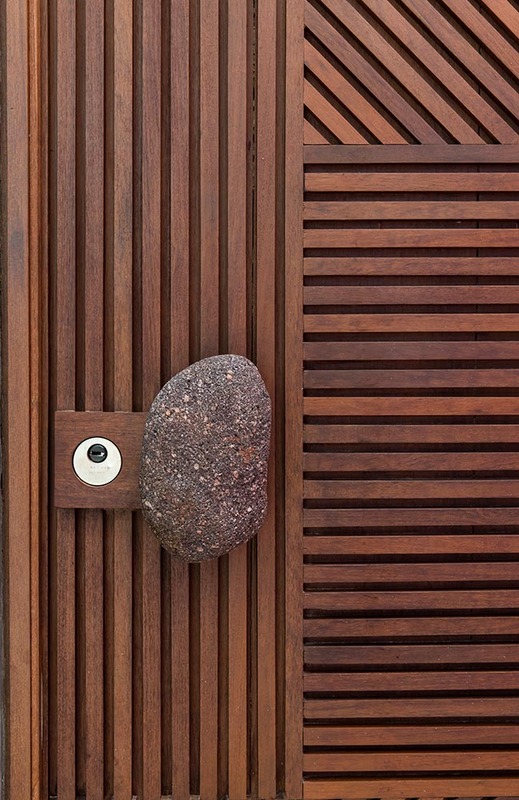 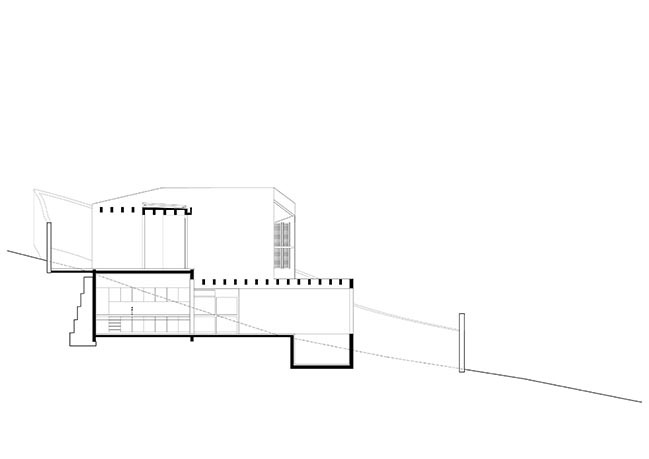 The materiality and the constructive solutions are inspired by the local tradition and the existing nature. 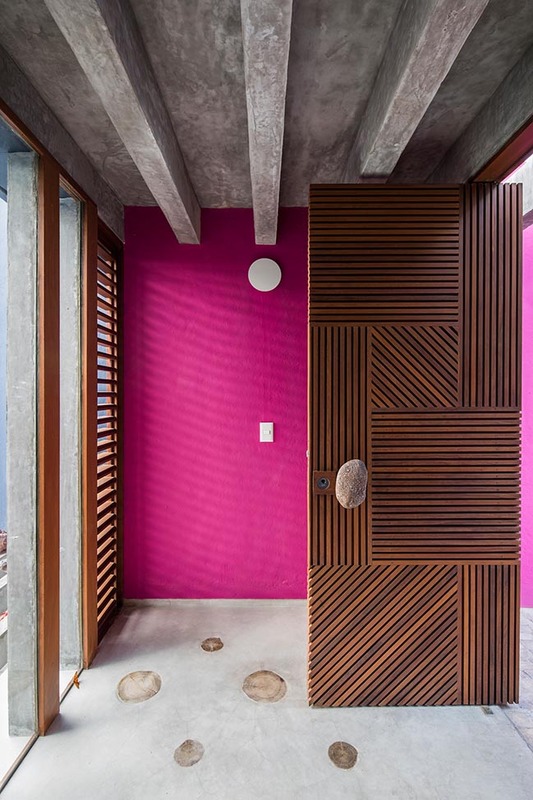 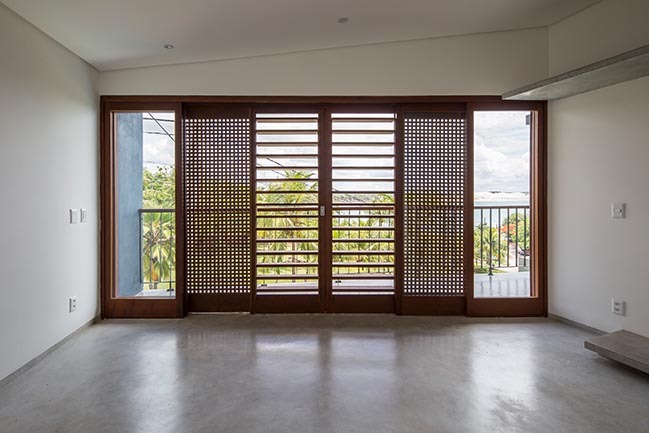 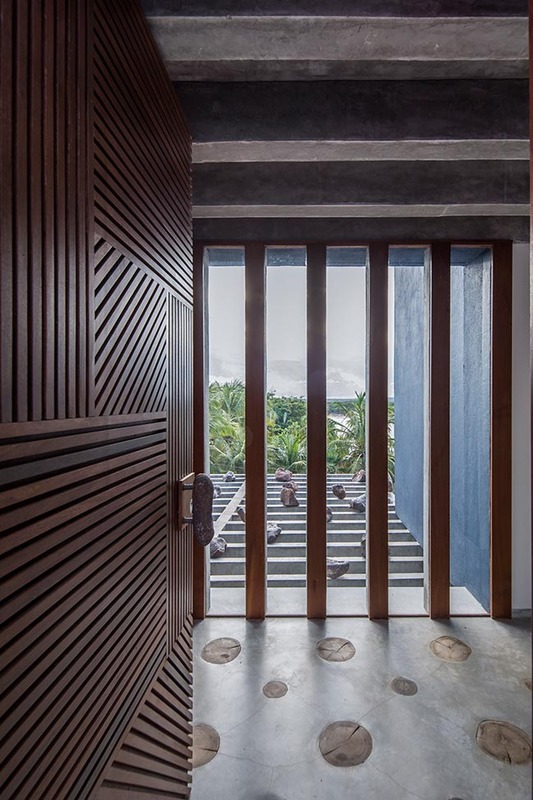 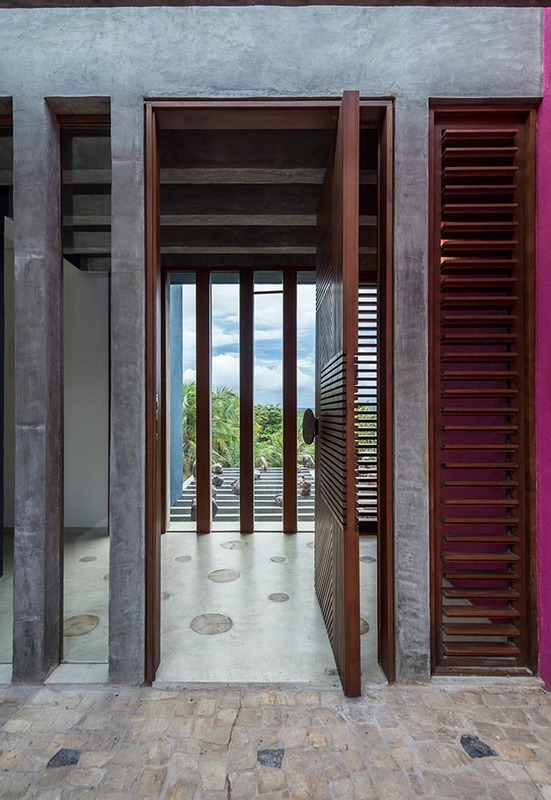 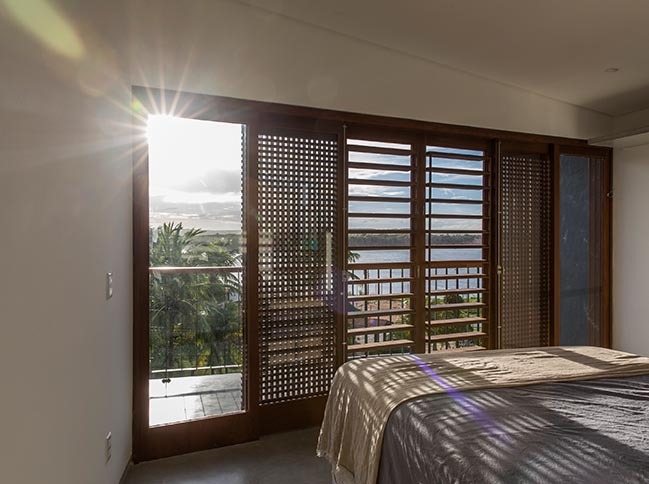 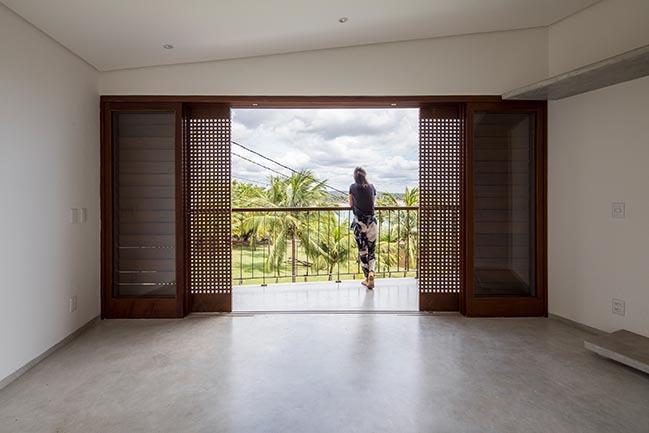 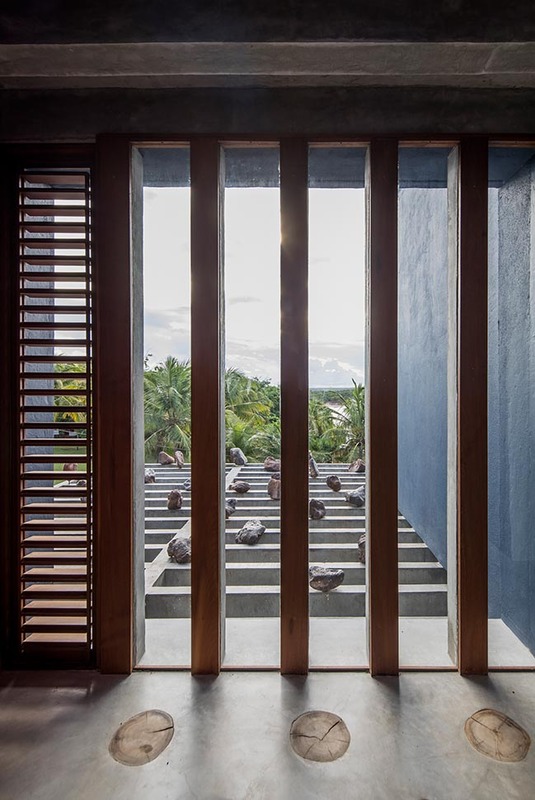 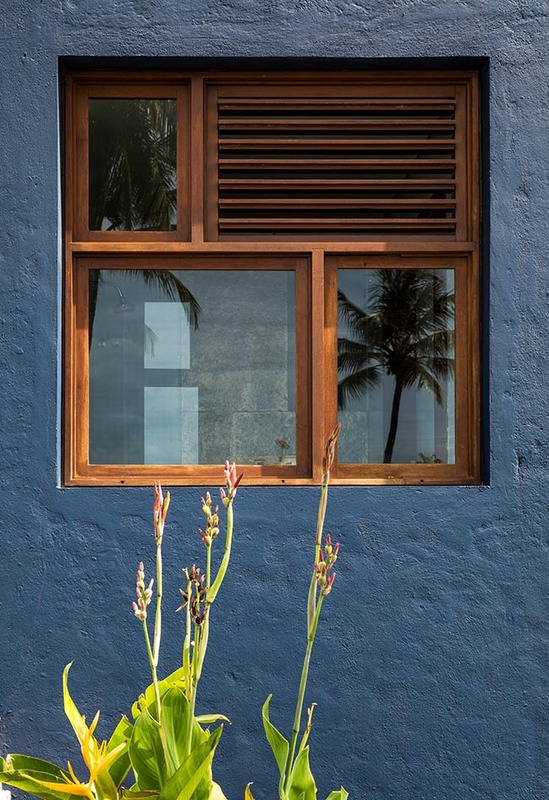 The façade of the bedrooms opens and closes with layers of wooden frames with pivoting shutters and panels of wooden slats that allow to ventilate and protect the glazed surface of the strong horizontal sun of the Northwest orientation. 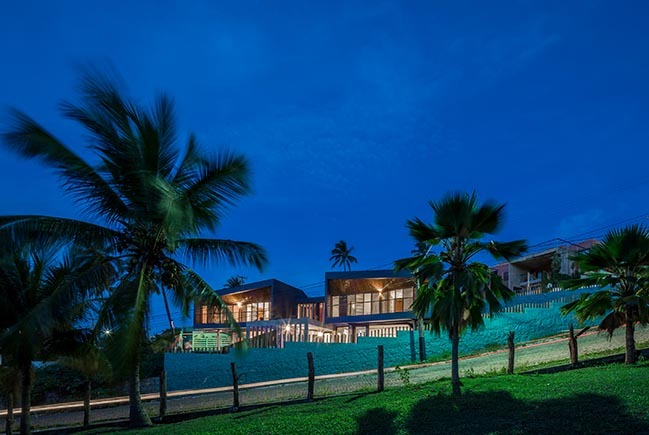 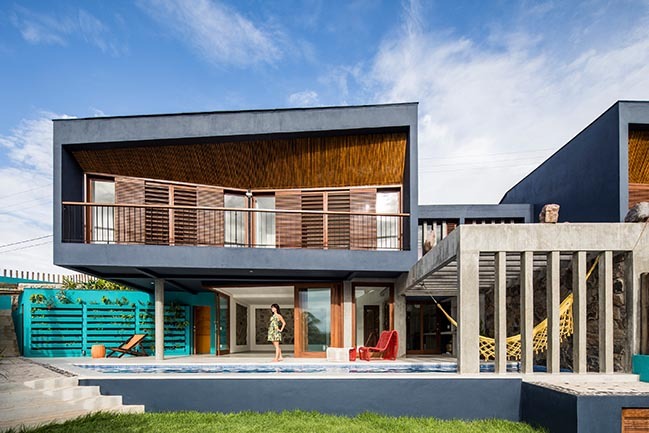 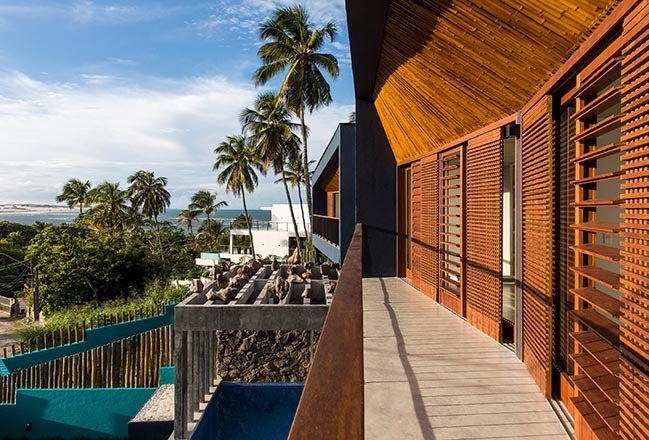 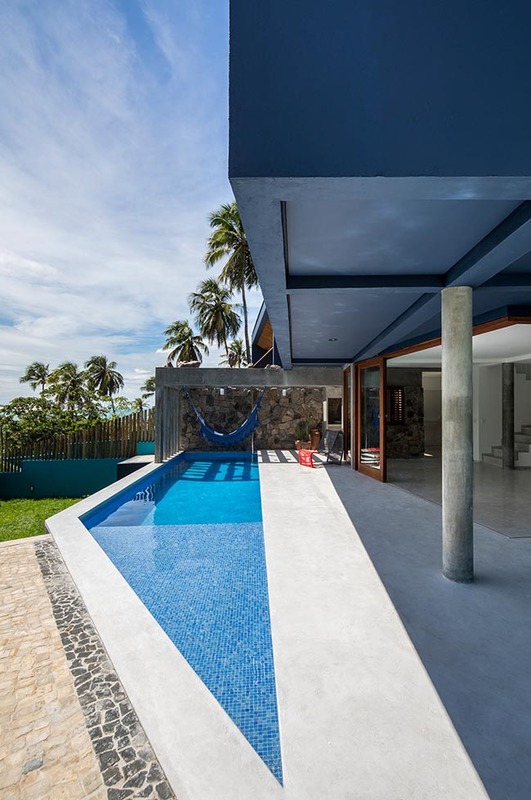 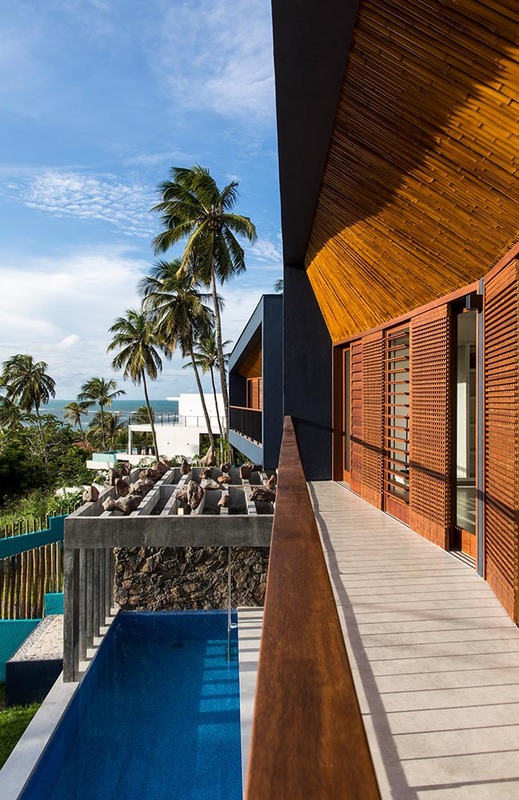 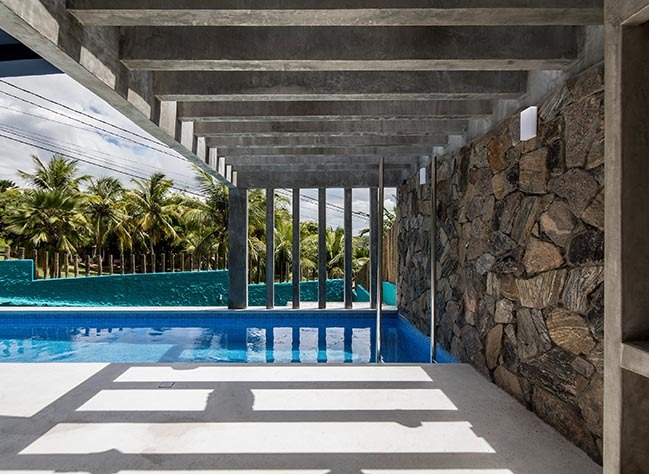 The facade is completed by a bamboo stick panel which conciliates both geometries – sliding elements and dropped ceiling-, by creating a double curvature surface inspired by the waves of the sea. 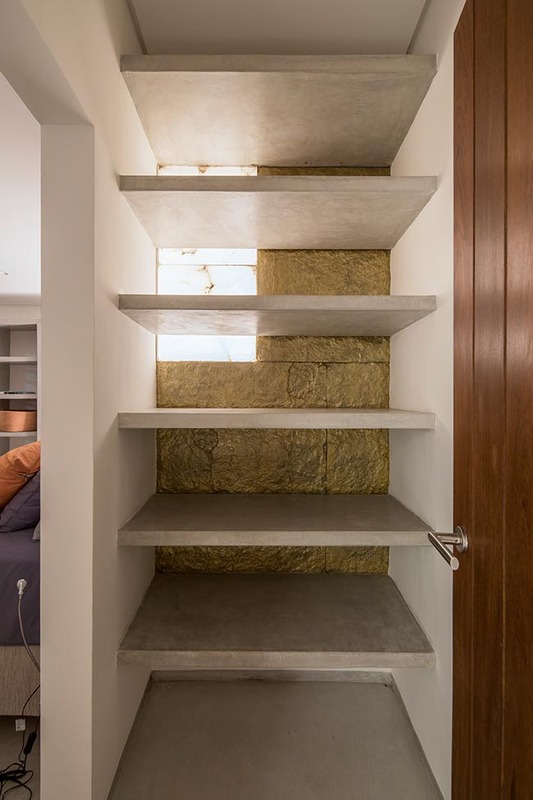 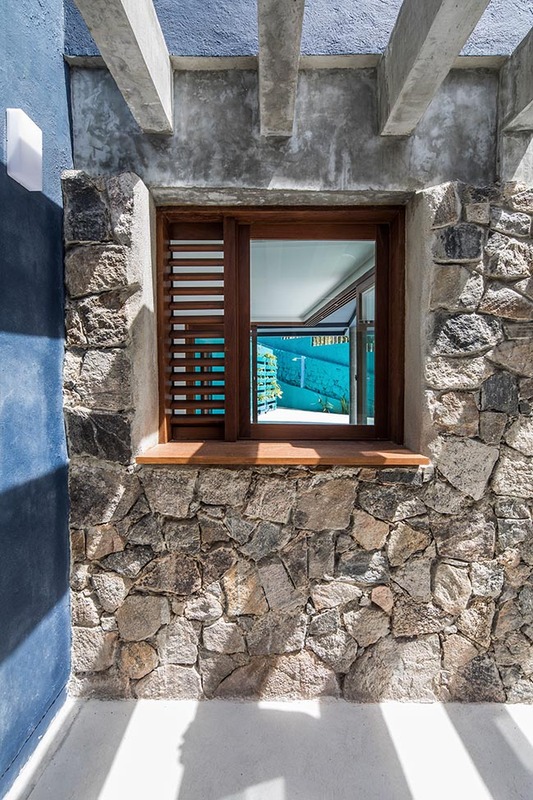 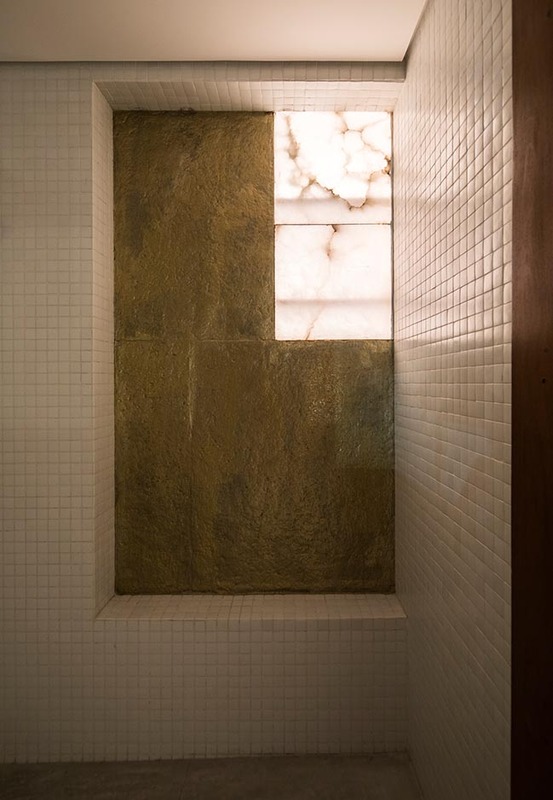 The partition and basement walls are made of local stone and the garage doors reiterate the use of bamboo as lightweight material and its low environmental impact. 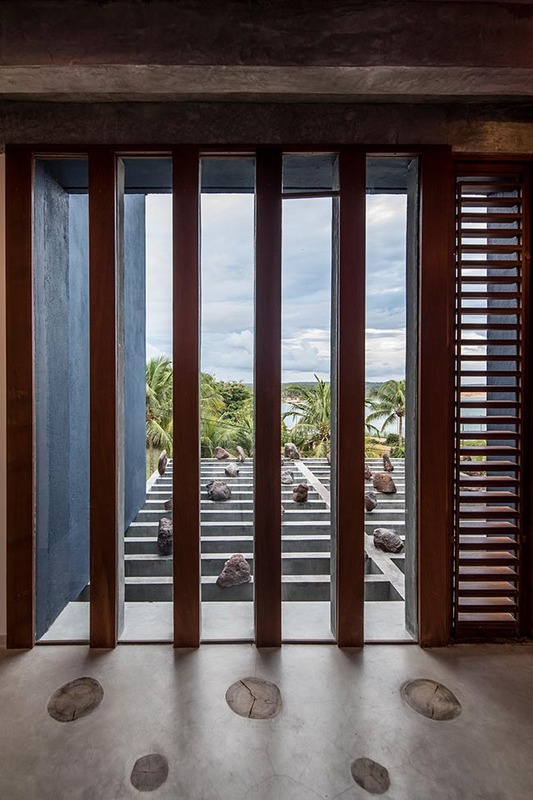 Over the concrete beams of the pergola are placed volcanic stones, small elements carved for millions of years by the erosion of waves and winds. 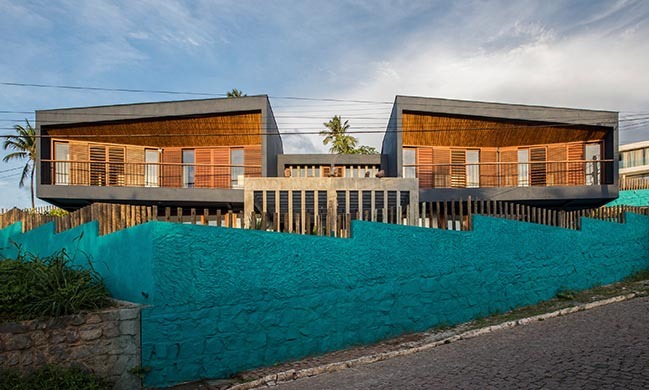 The roof was considered as a fifth façade, with a lightweight solution composed of a double layer: the first of thermoacoustic panels, which collects rainwater, and a second ventilated layer of wood shingles. 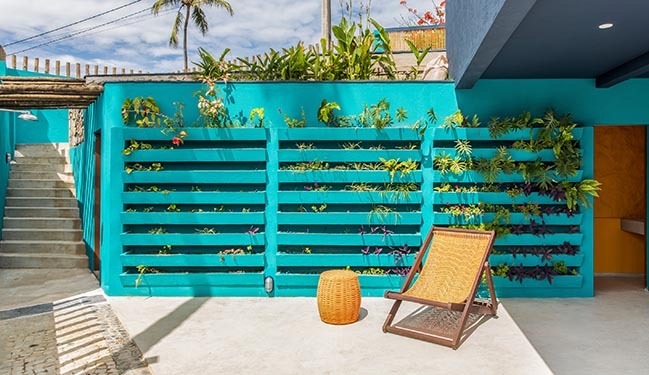 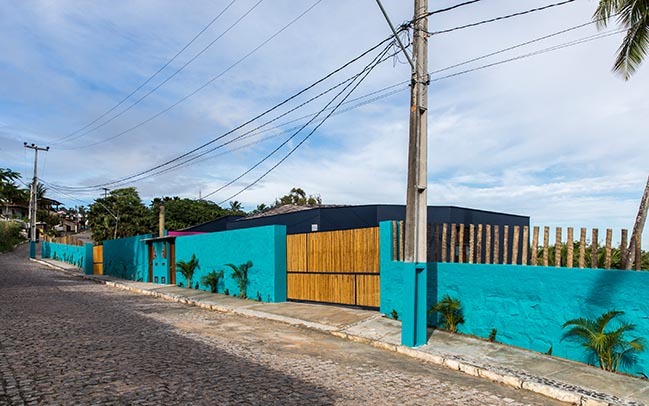 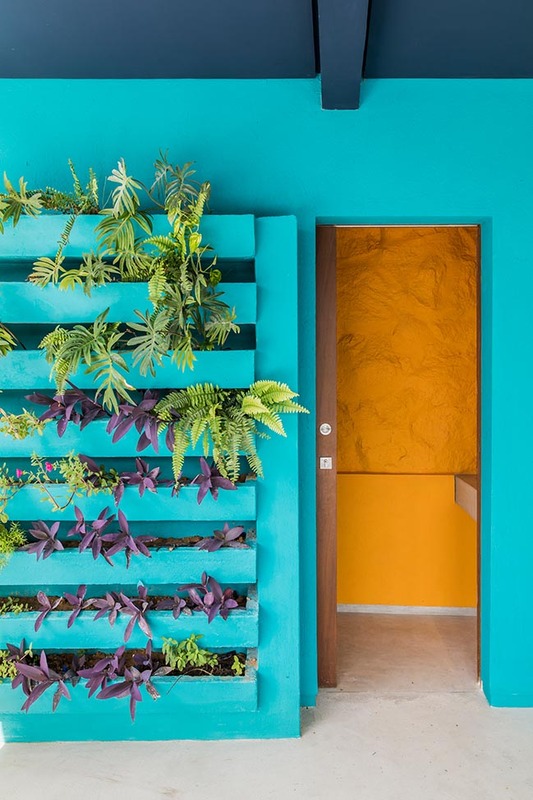 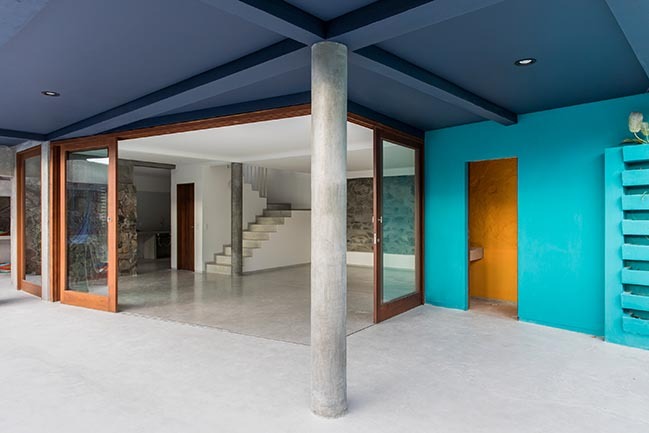 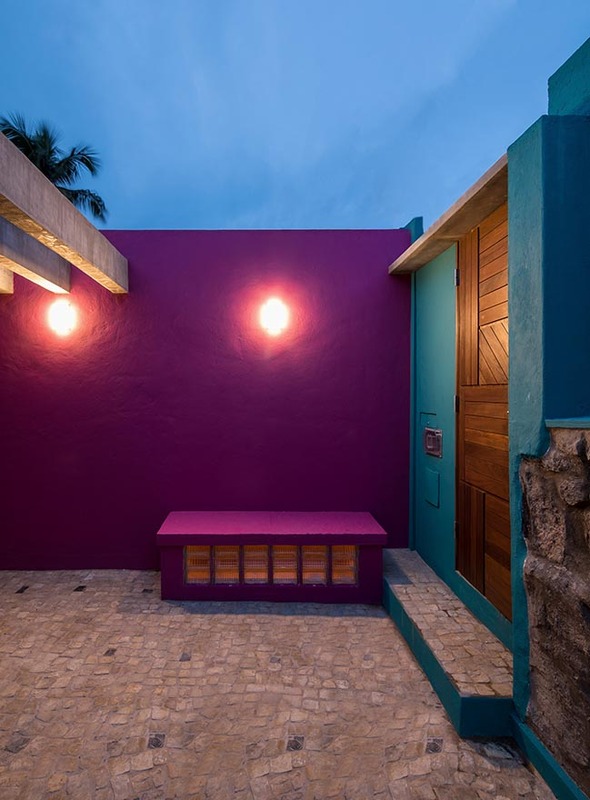 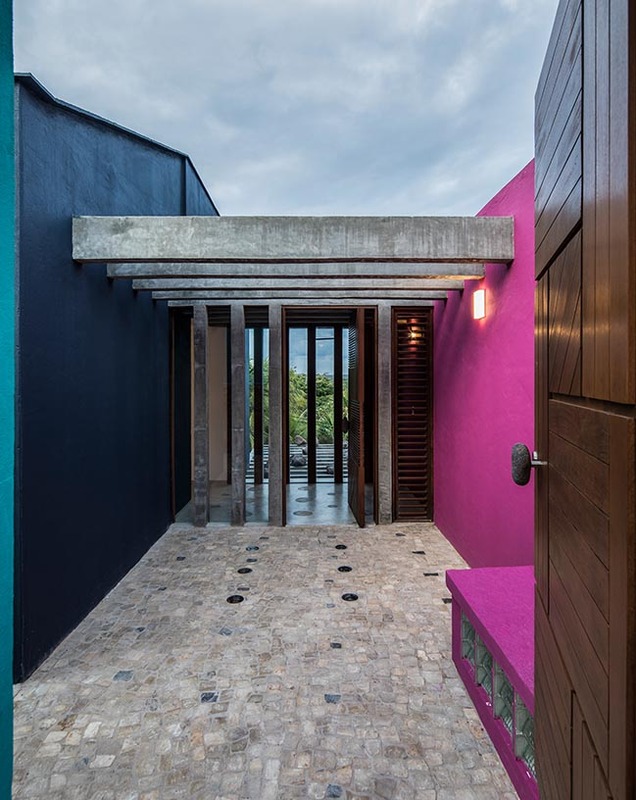 The colors are used in a conceptual and sociological way, inspired by the vivid colors of the façades of the local houses and their expression of joy and acceptance. 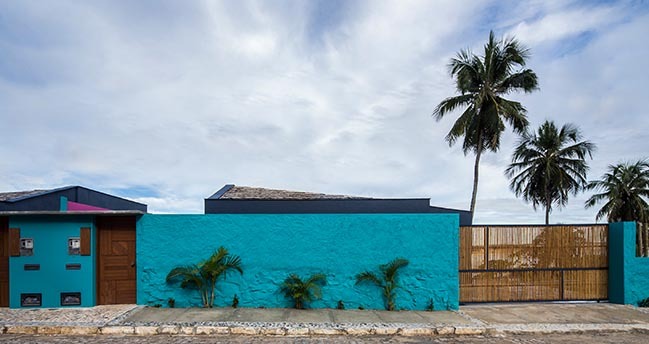 The tones chosen are mainly bluish tonalities that, due to the condition of being between two bodies of water, seeks to reproduce the many variants of tones coming from the sea and the lagoon.